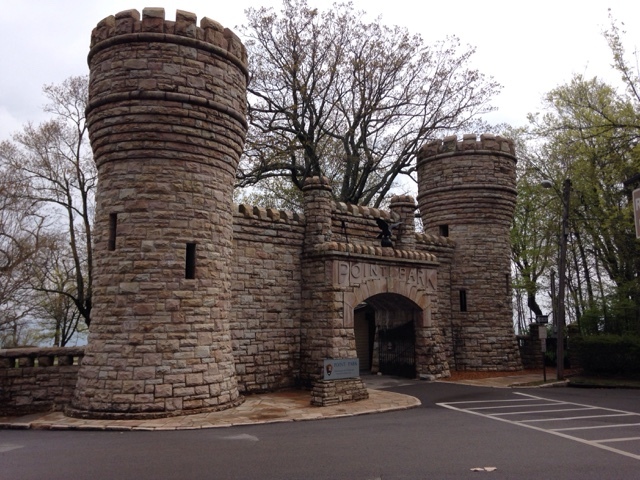 This is part 1 of my brief review of Chickamauga and Chattanooga National Park focusing on Chattanooga in this post. 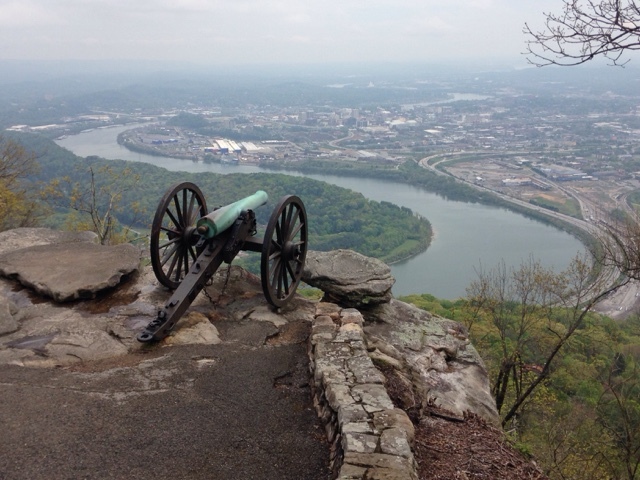 I drove up from the GTG in AL through the mountains along the ridge that is Lookout Mountain at the top of the ridge overlooking Chattanooga. The building above is the Visitor Center. I parked at a metered spot on the street only to find out the National park has done free parking behind this little building. There is a smallish room behind the counter area with this wonderful mural on the wall. 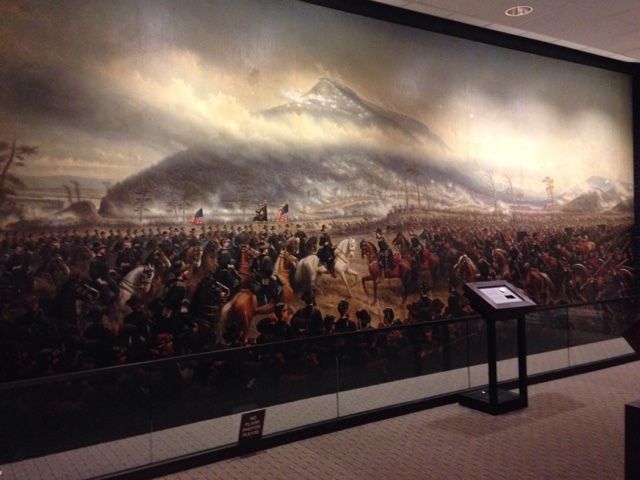 The painting is from down in the valley by the river where Chattanooga. The mountain in the picture is where I am. No Civil War battles took place on this mountain but there is a memorial here for the battles in and around the city. This area up here was held by Confederate Troops. 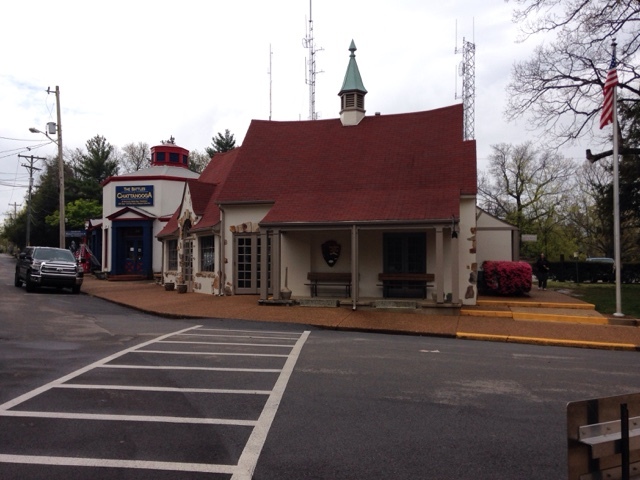 This is the entrance to the park across from the visitors center. This is a National Park fee area. 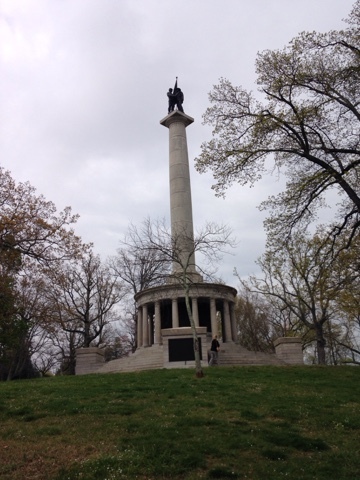 This is a monument to the New York soldiers who fought in the battle of Chattanooga. Confederate gunnery placements were on this hill but didn't serve much purpose as the battles took place down below.